Roaring 20’s VIP Package for two valued at $400: Can be purchased for the price of $350 on or before Oct 1st. VIP Package includes a picture taken at the dance and immediate admittance to the dance and skating party. Additionally, the VIP status includes excellent seating at the dance and the privilege of being first to receive food at both events. Click the button to purchase the package. Enter here for a chance to win a FREE VIP Package Give-away for two (2) Additional entries can be obtained by purchasing a dance or skating ticket. 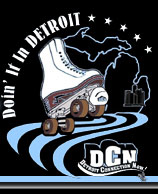 Drawing for a FREE VIP package will be held at Northland Roller Rink on September 14th and need not be present to win. The winner will be contacted and noted on the website. DISCOUNTS: Coupon must be redeemed on or before Oct 1st to receive discount. *Each coupon is limited to the purchase of one t-shirt. Coupons cannot be redeemed for multiple discounts or purchases. Offer is contingent upon availability of t-shirts (no rain checks). A monetary prize will be given to the male and female with the best dress roaring 20’s attire.